"Let Me Show You How To Get Loads Of Free Targeted Traffic To Your Websites And How To Easily Use Popular Sites Like Facebook, YouTube And Twitter To Build Your Own Successful Business"
Get Instant Access To My Superb Video Course With Over 200+ Videos, All For A Tiny Fraction Of What You'd Expect To Pay! I'm sure you've seen those big "guru" courses that are regularly promoted online. You know, the ones with carefully crafted sales letters - and huge price tags. But the fact is that most of us just can't afford to pay hundreds or even thousands of dollars for a training course. And even if you could afford it, wouldn't you much rather spend that money on something else? For years, the top gurus have been spreading the idea that you need to pay a lot of money to get quality video training. And these gurus have become very rich as a result. But it means thousands of people like you are excluded from the sort of quality training that could really help you to achieve success. I don't know whether this "guru conspiracy" annoys you, but it annoys me every time I see it. And I finally decided to do something about it. Just like the gurus, I created my own comprehensive video training course - and packed it with a total of over 200+ high-quality videos. The course covers all the important topics for someone wanting to start a business, including how to get traffic, how to build a list and how to market using the popular social sites. With all this valuable content, I could easily attach a big price tag to my offer. But instead, I've decided to keep the price low enough that just about anyone can afford it. I've called this powerful video training solution: "UltraCourse - Video Training For Ultra Success". I hope that it will really make a big difference to your business and your lifestyle - and without leaving a big hole in your bank account! There are loads of different traffic methods in use on the Internet today. All these methods are effective, but different people find success with different methods. So instead of just covering one or two methods, UltraCourse covers a total 49 different traffic generation solutions, each with its own separate training video. Most of these methods are free, but the course also covers effective paid traffic solutions as well. All 49 of the traffic solutions covered in this course are effective - and any one of them could help you to build your own successful online business. But probably the most powerful traffic generation solution is "Article Marketing" - writing articles and then submitting them to article directories to get traffic and backlinks. It's such an important traffic solution that, in addition to the 49 separate traffic videos, I've also included a full 24-video series, just covering article marketing. These videos cover everything from how to write articles, how to create your bio box, how to submit your articles - and much more. Traffic is essential for every online business. But it's also important to build an email list, so you can keep in touch with your customers and prospects after they have visited your site. To help you create and manage your own email list, UltraCourse includes a full 23-video series. Forum marketing is one of the easiest and most powerful free solutions for marketing any online business. A lot of successful online business owners started out using forum marketing as their primary method of promotion. 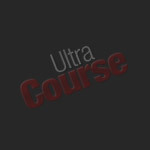 To help you get started with forum marketing, UltraCourse includes a full 20-video series. You may already be using Facebook for personal use. But did you know it's also one of the most powerful sites for making money? To help you unlock the secrets of Facebook marketing, UltraCourse includes a full 24-video series. Over half the traffic on the Internet is now video related. And it's still growing at an exponential rate. This makes video marketing one of the most powerful solutions for making money - once you know how to do it. To help you get started with video marketing, UltraCourse includes a full 19-video series, showing you how to create videos using free software - and how to turn those videos into big profits. I'm sure you've heard of the amazingly popular Twitter site - and it's huge marketing potential. But a lot of people are still not using Twitter in their businesses. To help you get started with Twitter marketing, UltraCourse includes a full 30-video series. Start Your Journey To Ultra Success Now! Despite what the gurus might tell you, building your own successful online business is not rocket science - and you don't need to spend thousands of dollars on expensive courses. You just need someone to show you what to do, in a way that's easy to follow. That's what UltraCourse does, in a selection of clear and simple step-by-step videos that anyone can watch and apply. If you're serious about wanting to build an online business, I know you'll benefit from this course. All that remains now is to tell you the price. UltraCourse contains over a gigabyte of valuable in-depth video training, covering the most important topics for anyone looking to build an online business. This is just the sort of quality package that the gurus would ask you to pay big bucks for. But as I said at the start, I don't want to charge guru prices. I want to make UltraCourse affordable for everyone. 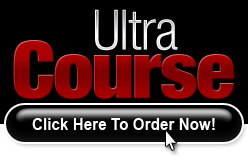 So if you order today, you can get instant access to the entire UltraCourse video training package for the low price of just $19.95. When you order UltraCourse, you'll get instant access to your own online membership area containing all the videos. You can login at any time and watch the videos in your Internet browser (the videos are in Flash format). The videos provide hours of quality, in-depth training. Each video is separately indexed for ease of use. There are also PDF format documents to accompany the training course, providing additional information, plus lots of bonus video sets. Earnings Disclaimer: Although we provide powerful information which can help boost your income, the results are dependent on many factors outside our control. We are not therefore able to give any guarantees about the level of income that you will attain by ordering.